Directed by Haibin Du. 2009. 117 minutes. 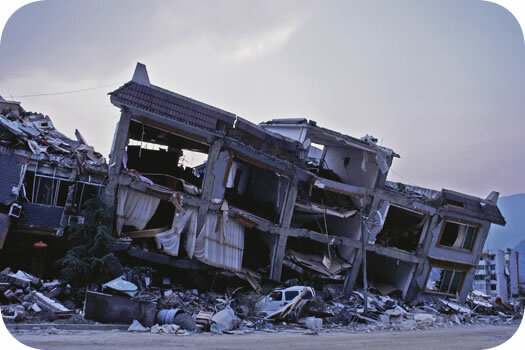 Du Haibin’s documentary about the aftermath of the Sichuan earthquake that struck at 2:28 PM (14:28) on May 12, 2008, captures the perspective of local people and how they coped with reconstructing their lives. The film begins with an English subtitle which translates a slogan on the side of a truck “Unite Our Strength for Rescue Efforts Against the Earthquake,” Illustrating one of Du’s underlying themes throughout his film: the presence of government and propaganda in contrast to the reality of the situation. Premier Wen Jiabao’s arrival on the scene in the county town of Beichuan, the epicenter of the earthquake, sparks criticism from locals from other towns, as does the government in general and its handling of the situation. Paralleling their anger and frustration is the attempt by the survivors to make sense of the disaster that has transformed their lives. On one hand, 1428 seems geared toward an audience familiar with Chinese society and values, emphasizing, for example, Chinese pragmatism. Farmers state they need a quick response to the situation because they need to farm in order to continue to have a livelihood; temple-goers discover solace in finding that the earthquake was a matter between Heaven and Earth - beyond the realm of the gods; and the Lunar New Year- China’s most important festival- is celebrated under duress and in the dark because the power goes out. However, by the time the film ends, the viewer can easily empathize with universal human reactions to any disaster- How could this have happened? Who is to blame? Why did the kids nap upstairs that day? And with the conclusion as well: that people can overcome even the worst of hardships. From a cinematographic point of view, Du’s down-to-earth lens leaves you practically feeling the dust of the earthquake in your lungs. He portrays the reality of daily life as early as ten days after the earthquake where people are salvaging pieces of metal with their bare hands from collapsed buildings and selling them to buy food. He follows a young man who walks barefoot in the rubble streets wearing a ‘found” torn coat, and whose madness makes him oblivious to the madness surrounding him. A year after the disaster, the government is proud to showcase a completely reconstructed and thriving small town near the epicenter while the area itself has become a tourist spot for domestic travelers who are sold old photographs of what Beichuan looked like before the quake hit and destroyed it. Life goes on. This documentary is especially informative when studying contemporary Chinese society. We see, for example, how the government still plays a major role in shaping public attitude towards the communist party. At the same time, it takes a close-up look at the lives of ordinary people. This two-tiered perspective is emblematic of how many aspects of Chinese society play out in reality, not just during the aftermath of an earthquake, but in everyday life. This film is most suitable for university level students studying East Asia with a focus on modern China, anthropology, political science, Chinese film studies or documentary film. High school students 16 and over might find it a bit slow, but can also benefit from the film's content, which may be integrated into world history courses. France Pepper holds an M.A. in Asian Studies from McGill University. From 1999-2009, she was Director of Arts and Culture Programs at China Institute in America and organized over 300 educational programs including performances, lectures, symposia, film screenings and produced DVDs on contemporary Chinese art. She joined Shen Wei Dance Arts as Executive Director in January 2010. 1428 is distrubuted in the U.S. by dGenerate Films.